As soon as the turkey and mashed potato leftovers are stuffed into the refrigerator, there’s only one thing left to think about…Christmas! For many families, the weekend after Thanksgiving means decking the halls and adorning the house with lights to get into the holiday spirit. Unfortunately, when it comes to hanging lights many people don’t know exactly what to do and end up guessing their way through the job. As a result, roofs, gutters, and fascia suffer damage and come Spring the homeowner incurs an expense to repair it. So, before you go Clark Griswold on your home this winter, take note of these tips to keep your home free from holiday damage! Perhaps the easiest way to install Christmas lights on your home is to use gutter clips. These gutter clips that can be found on Amazon are inexpensive, require no nails or staples, and easily adhere Christmas lights to your home. As a bonus, they are even easier to take down than they are to put up so you won’t dread that after holiday job. If you don’t have gutters, or you want to decorate your home with a lower hanging icicle light, light clips might not be an option. In that case, using a staple gun to place lights on your home is the way to go. But, when it comes to using a staple gun always remember to operate by the rule that less is more. Instead of placing a staple after every light, use a staple every fourth or fifth light. This method will keep your lights secure and also reduce the number of holes you are putting in the side of your home. Whatever you do, don’t wait until the first sign of Spring to take down your Christmas lights if they are stapled or nailed to your house. Blustery winter winds, heavy snow, and ice can weigh the lights down causing them to create damage to your home. For the least amount of damage, take your lights down within 1 week after the new year. 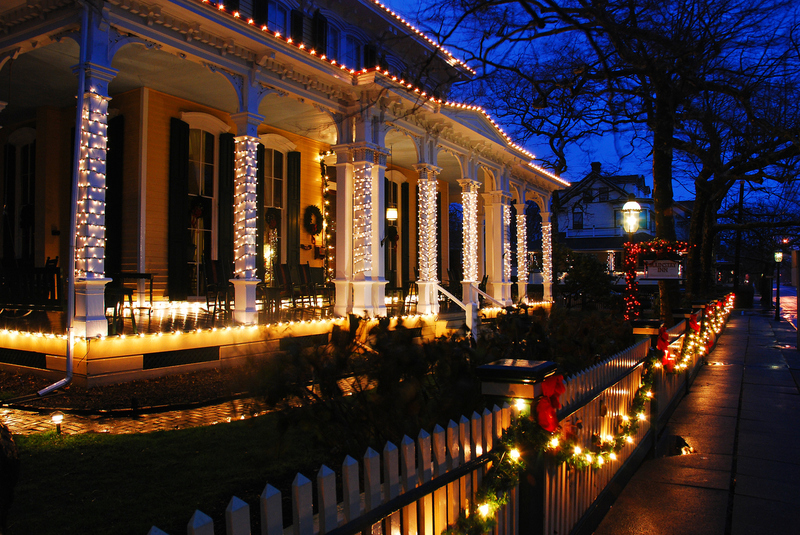 If you find yourself in a situation where Christmas lights have caused damage to your home, call Beltway Builders! They will be happy to come out, repair your home, and have it looking its best in no time at all.